This ship's role in combat is that of a sniper. It warps a few hundred kilometers away from the conflict zone and aligns itself with the front facing towards the enemy ships. The capital ship sized artillery cannons mounted on the sides can all fire at once at the target and deliver punishing firepower on even the most heavily armored warships. There isn't much that can stop this behemoth once it enters the fray of the battle and either way, it is designed to warp in, empty its ammo racks, dish out destructive or suppressive fire and then warp out before the enemy ships can enter in range to activate their warp inhibitors. As far as defenses go, it was built with an ultra thick front armor layer that few weapons out there can dent and even fewer can penetrate. Plus, when in combat it raises the top armor plate in front of the main command bridge to protect it from incoming artillery fire. Its achilles' heel is the thin side and back armor, so if it does get pinned down in a warp inhibition field it will most likely get easily flanked by enemy ships due to its poor maneuverability. For these cases it carries several wings of fighters, bombers and other combat and logistics ships. All things considered, to take this battleship down, it will take either another capital ship with equal firepower or an entire fleet of smaller combat ships. Anything less and odds are it will walk away from combat without as much as a scratch. The Tagawa Battleship's most notable field deployment was also its first, during the battle for sector supremacy in Ameron's orbit, where it crushed an unsuspecting fleet consisting of two motherships, a carrier and various support ships and the following planetary bombardment where it laid waste on the southern continent and left no building or human standing. 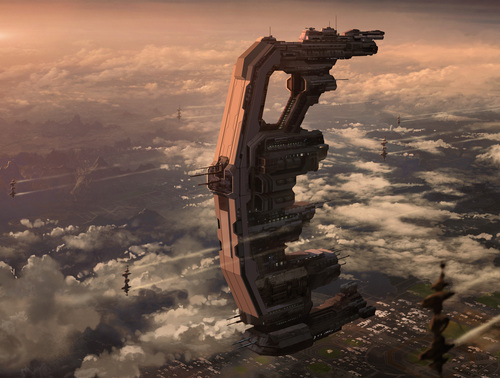 This is based on the Xi’An capital ship concept art from RSI. Hehe, this is really not anywhere near the quality needed for their game mate. 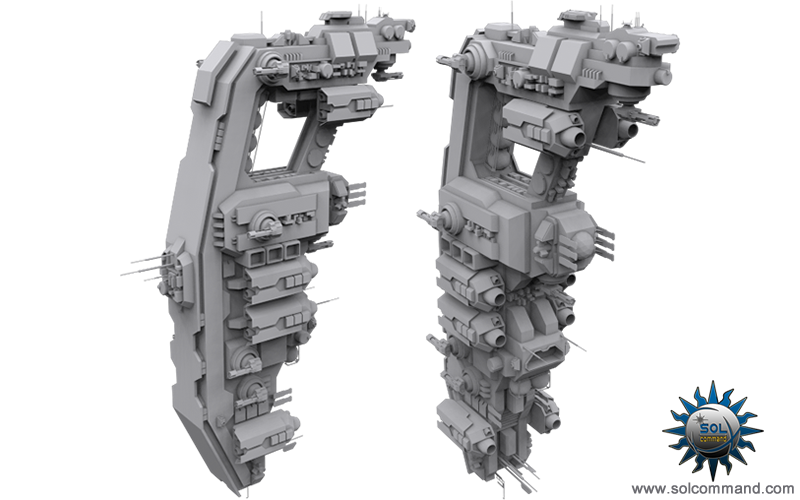 For example a ship this size in Star Citizen would probably have around a couple million polys, where as mine barely has 50k, so there's too much of a difference in details level. I don't even think my computer can handle a model that big too well if I ever were to consider making a model for that game. Heya Sol, I like this ship, was wondering if I would be able to nab a copy with credits ofcourse, just want to use it in a game. Trying to build my own and my ships turn out useless. Hope to hear back soon.